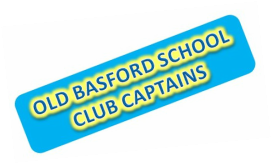 WHO WILL BE OUR NEW CLUB CAPTAINS FOR 2018-2019? COULD IT BE YOU? DO YOU HAVE LEADERSHIP QUALITIES? ANNOUNCEMENTS FOR OUR NEW 2018-2019 CLUB CAPTAINS WILL BE MADE IN OCTOBER BY MRS SHAW IN WHOLE SCHOOL ASSEMBLY! IMPRESS US! MARK YOUR MARK! LEAD BY EXAMPLE!